In their first game of the season without James Harden, the Rockets looked not like a hobbled team, but like the quality team they are. After the doom and gloom of a five-game losing streak, after the sobering news that Harden would miss weeks worth of games, the Houston Rockets needed some good news, some exciting play. On a chilly, sleepy night in Orlando, Florida, the Rockets showed out, and so did Gerald Green. One of the highlights of the Houston Rockets at the moment is how much Gerald Green loves being on the team. A Houston native, he was raised by vehement Rockets fans and clearly retains a devotion to the team, even as he has made a career in the NBA. After his standout performance, he had nothing but praise and excitement for his team, calling it "an honor" to wear the uniform. He's leaving it all on the court trying to play for a contract guarantee, and he did an amazing job tonight. He piled up a game-high 27 points, scoring which the Rockets need in Harden's absence. Even better, he shot 9-15 from the field, including a blistering 7-10 from deep. 6 rebounds and 2 assists close out a truly efficient line for Green. He was a spark in an otherwise sluggish evening, especially needed when Eric Gordon (3-10), Ryan Anderson (1-4) and Chris Paul (1-4) all forget how to shoot threes at the same time. 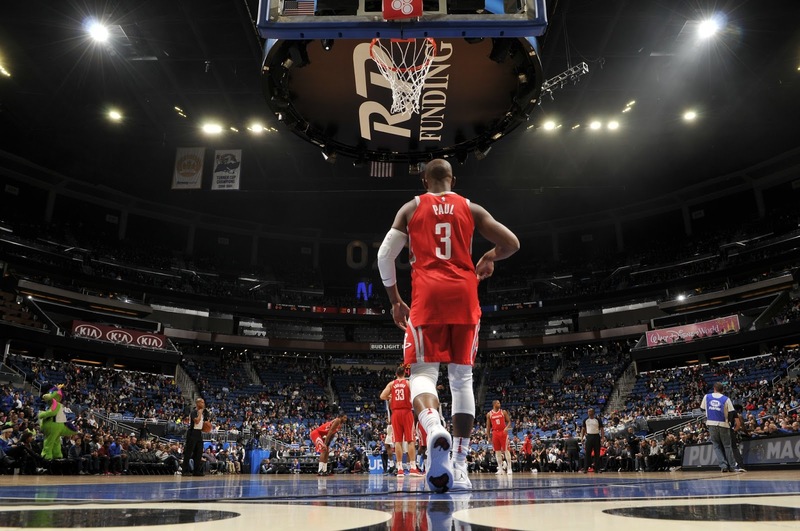 Chris Paul didn't forget how to run an offense, however, and even with relatively low energy the Rockets were able to get their way against an inferior Magic team. Paul ended the night with only 8 points to go with his 7 rebounds and 13 assists. Paul is every bit the offensive maestro the Rockets need right now, and seeing him conduct with this level of skill should allay some fears for the near future. While he sat, Briante Webber (2 points, 4 rebounds, 2 assists, 16 minutes) even looked like an NBA player. The Magic may have had a nightmare shooting night with a mere 6 makes on 31 three point attempts, but the Rockets' defense also accounts for some of their low score. Holding teams under 100 points is a mark of honor in this NBA, and the Rockets managed it tonight. After their spate of awful games, their defense had fallen off precipitously. Any movement in the other direction is cause for hope. Not every opponent will be a softball like the Magic, and may in fact be the Golden State Warriors tomorrow night in Houston. It won't get any easier from here. With Nene bruising his knee during the game, there's a possibility Houston's depth may suffer further. But in a game where they led by as many as 28 points, the Rockets showed that on any given night, they're still better than most opponents. Now they just have to figure out how to stay at cruising speed until it's time to really put the pedal tot he metal.